Keepin’ warm and eatin’ right! I keep this print of Aviva’s on the kitchen cupboard, and I find myself looking at it a lot these days, especially around the holidays–which always seem to require copious amounts of fat and sugar– when I feel the need for an antidote to all the rich food. Whether you’re preparing for these holidays or recovering from them (or even avoiding them completely) it’s always good to have some simple and tasty food around. And it doesn’t hurt if it’s nutritious too. Despite the feeling after Thanksgiving dinner that you will never want to eat again, it’s pretty likely that you will…. So I’m back to that classic, can’t-be-beat winter meal: soup and bread. In the week before Thanksgiving, I decided to make a big pot of soup to last all week long. Something with white beans and green vegetables sounded good to me, and at the Food Coop, I was inspired by a nice bunch of kale. I soaked some navy beans, sauteed onions (that essential step) and kept on cooking till I had a big pot of soup. 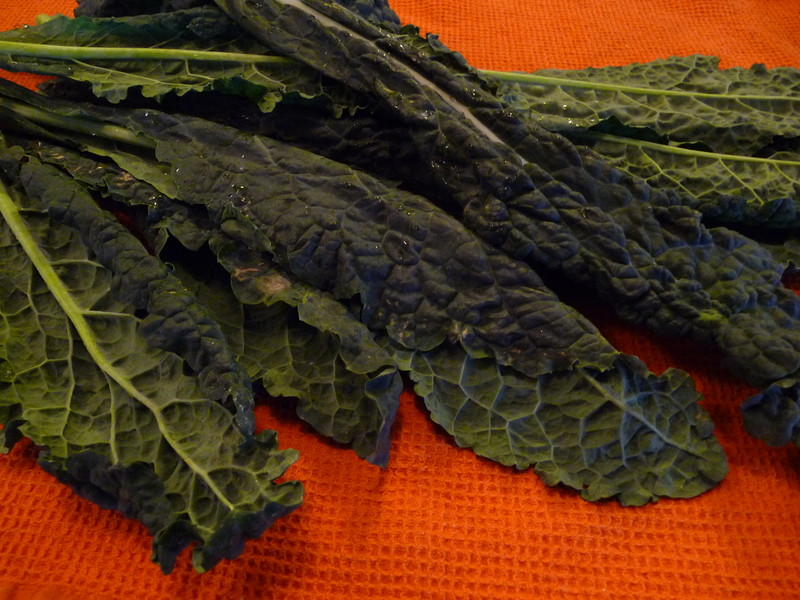 Carrots gave it a little sweetness and the kale gave it that green nutritiousness. Seasonings: salt and pepper, bay leaf, chopped fresh rosemary or other herbs to taste, a rind of hard cheese such as Parmigiano. The night before, soak the beans in plenty of water. (If you want the soup the same day, you can cover the beans with water, bring them to a boil, then remove from heat and let them sit, uncovered, for an hour. Then, proceed.) Drain and rinse. Let the olive oil heat up, then sauté your onions over medium heat until they are soft, about 5 minutes. Add the garlic and sauté for another minute. Now add the beans, plus about 10 cups of liquid, a combination of broth and water. You can use half broth, half water or less broth if you like (I used about 3 cups broth to 7 of water). Add seasonings: A teaspoon or two of salt (bland soup may be under-salted; you don’t need to even approach the sodium levels of canned soup, but salt brings out flavors), black pepper, a bay leaf, and a teaspoon or two of finely chopped fresh herbs if you have them – I used sage and rosemary. Also—if you have that cheese rind, toss it in too. It flavors the soup beautifully. Bring the soup to a simmer and let it simmer, uncovered, until the beans are just tender, about 50 minutes. 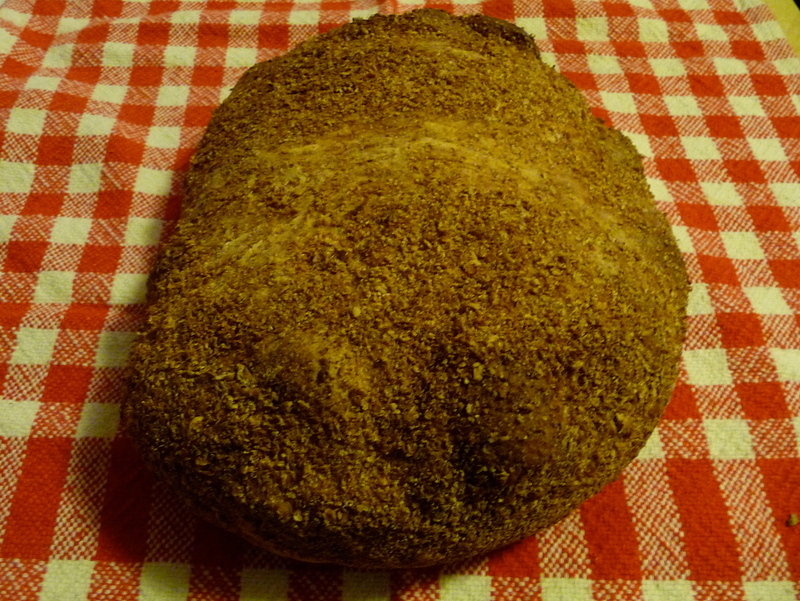 While I was at it, I decided to start a bread that would bake the next day, meaning it would be ready to eat about 24 hours after I started it. There are loads of good breads you can make that would be done sooner– and for that matter, lots of great bakeries that will sell you a nice loaf of crusty bread–but it’s kind of satisfying to make crusty European-style bread in your own oven. I won’t attempt to give the recipe here, but will direct you to Mark Bittman’s New York Times’ article and recipe adapted from Jim Lahey of the Sullivan Street Bakery. Since it was published three years ago, it’s become a home-bakers’ sensation. It’s a good weekend project — sometime when you’re not in a hurry. 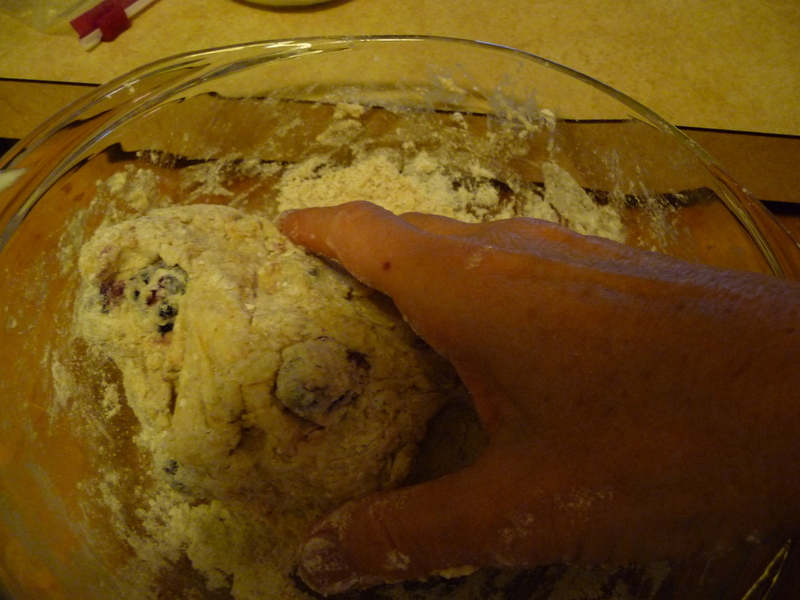 But if you’re worn out from too much holiday cooking, perhaps it’s best to save this project for another day…..
As I’m writing this post, it’s two days after Thanksgiving, and I’m making more soup and another loaf of bread. Back in the day when I had Thanksgiving at my house, there was not only leftover turkey for sandwiches in the days following, but also a hulking turkey carcass which had to be dealt with–which meant that every post-Thanksgiving Friday, I’d be making turkey-barley soup. 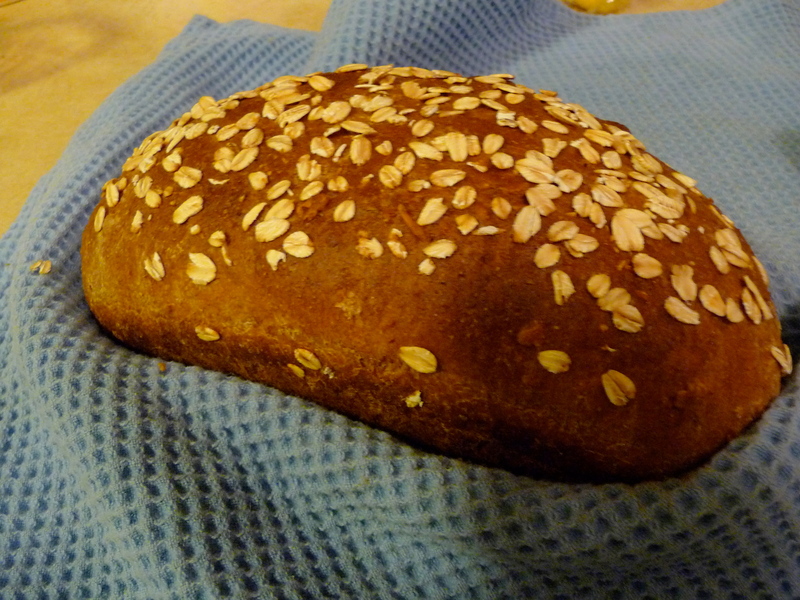 And I usually made a batch of oatmeal-wheat bread, which was great for sandwiches and soup accompaniment. 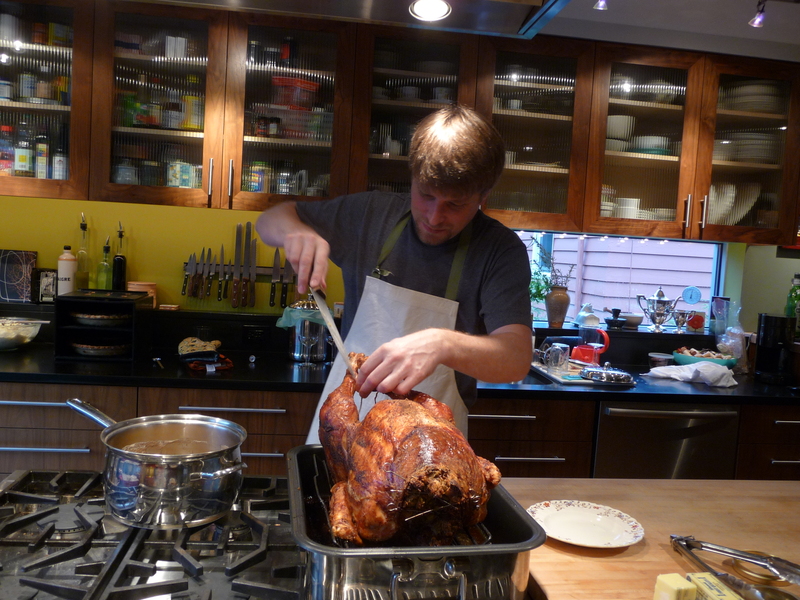 Marc carved up the Thanksgiving turkey a couple days ago. The leftovers have probably become soup by now. This Thanksgiving, I admit, I am thankful I don’t have to deal with a turkey carcass (nasty word). I don’t even really miss the turkey sandwiches so much. Maybe I’m sliding slowly to semi-vegetarianism — or, as some folks call it these days (a bit absurdly), flexitarianism. So, there would be no turkey barley soup. But I did still want something with barley. So today I made mushroom barley soup. Here’s about all you need to know for any barley soup: Buy some pearl barley, either in bulk at a co-op or in a bag which you’ll find near the dry beans in your grocery store. Simmer 1/2 cup pearl barley in two cups of water (double the amounts for a giant pot of soup), covered, for about 20 or 30 minutes, until tender. You’ll be adding the cooked barley to your soup. If you’re making turkey soup, you could saute some onions for 5 minutes or so, and then add garlic, chopped celery, carrots and saute them too. Now, take your turkey stock (after you’ve picked out the bones and much of the meat for another purpose), and add the cooked barley and the sauteed vegetables. After you simmer your ingredients together for an hour or two, add some chopped greens (kale again, or chard or spinach or beet greens) or green beans or other vegetables (including frozen ones) and simmer just till those are done. 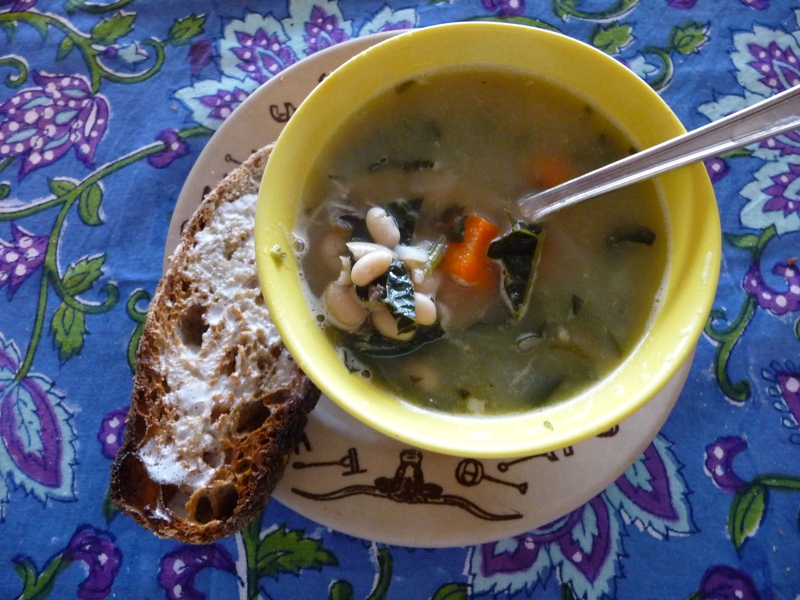 For mushroom barley soup, I adapted a recipe I’ve been using for a long long time, from Moosewood Cookbook. 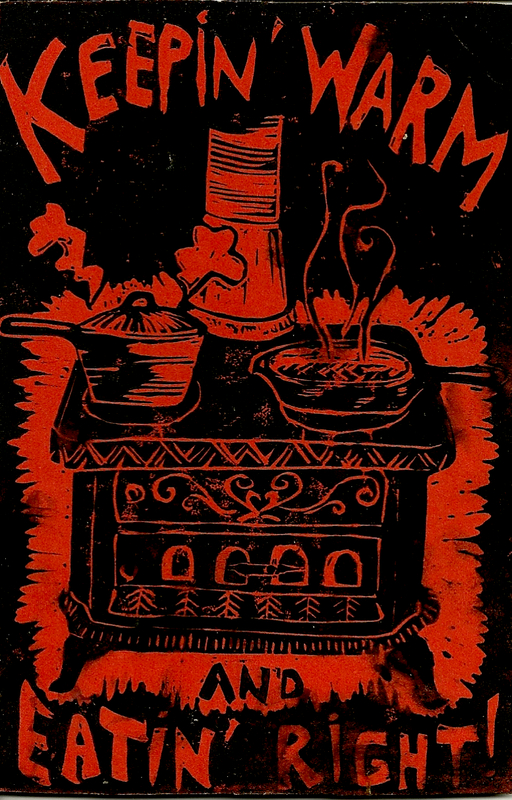 It’s a handwritten and illustrated collection of recipes by Mollie Katzen when she was a member of the Moosewood collective which started a vegetarian restaurant in upstate New York in 1973. The original Moosewood Cookbook, published in 1977, was–like The Vegetarian Epicure–a great inspiration to vegetarian cooks who wanted something other than brown rice and stir fried veggies. 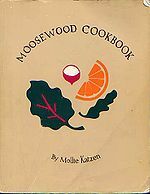 My copy of the original Moosewood Cookbook fell apart with use, so I had to use this image from Wikipedia. The original recipes were pretty heavy on butter and eggs. The book also had a maddening index, which required you to look up recipes by the ingredients. This meant you had to wade through about 30 recipes with mushrooms before finding mushroom barley soup. And it was even worse with common ingredients such as potatoes or rice. Fortunately, the revised 1997 edition has a normal index. 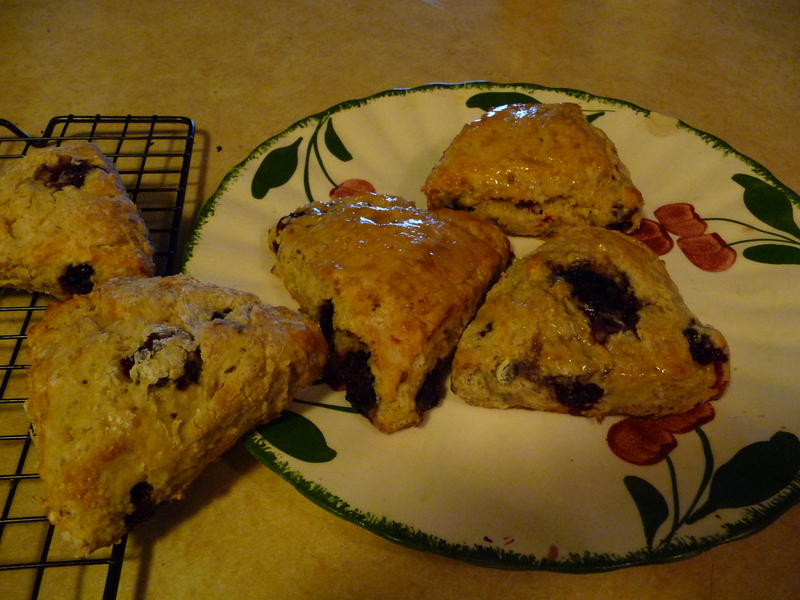 And Mollie Katzen revised the recipes to make them lighter and healthier (but still very good). Yes, it’s easy to make this recipe (or the white bean/kale one) vegetarian or even vegan. Simply ignore suggestions for butter, chicken stock or cheese. It will still be delicious, and you could invite a vegan friend over for a bowl of soup. Just saute a nice big chopped onion for 5 minutes or so in a tablespoon or two of olive oil or butter. Add a couple cloves of minced garlic and about a pound of sliced or chopped mushrooms and keep stirring until it’s all tender and fragrant, about 10 minutes. 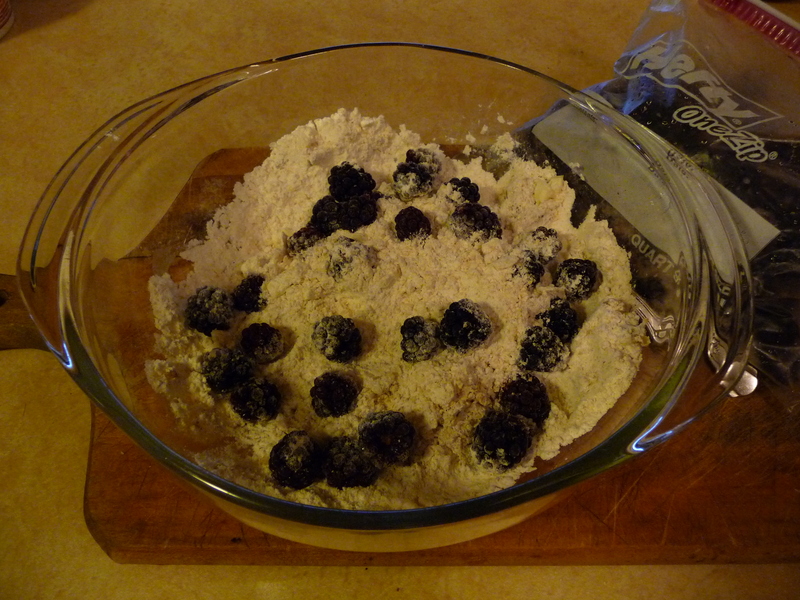 Next, toss in 1/4 cup or so of sherry if you have. I had some leftover cheap port that I’d used in making cranberry-port chutney, so that’s what I used, but if you don’t have anything like that, don’t worry. It’s not worth going out to buy a bottle. Now add the cooked barley with its cooking water, some salt and pepper, herbs (rosemary or sage is nice) and 4 or 5 cups of water or veggie or chicken stock, or a combination. ( Moosewood says to put in 3 or 4 tablespoons of soy sauce too, but I usually don’t.) You could add a bay leaf too, if you have one. Let all this simmer, partially covered, for 30 or 40 minutes, and adjust the seasonings. If you like, you could serve with some chopped parsley or grated Parmeggiano or Romano or pecorino cheese. Now you have a lovely soup to eat, and it will keep you warm and eatin’ right.